See also, the introduction and summary section of Part One of this review. 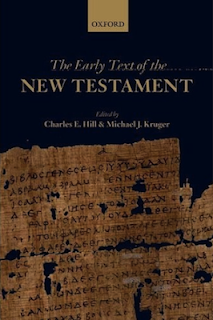 Hill and Kruger observe in their introduction that “there is currently an undeniable flowering of interest in many aspects of research on the text and the manuscript tradition of the New Testament documents” (1). On both a popular and a scholarly level, the discovery and reconstruction of the earliest manuscripts of the New Testament continues to garner wide interest. In light of this scenario, the editors establish a clear need for the type of analysis afforded in this volume. As they note, though the importance of the (apx.) 127 papyrus manuscript fragments is universally acknowledged, “their real significance for the discipline of NT textual criticism is currently controversial” (2). One of the most valuable aspects of this volume is that it presents a bevy of technical data alongside of a general orientation to the issues that impinge upon the study of textual transmission (e.g., scribal culture and book production). 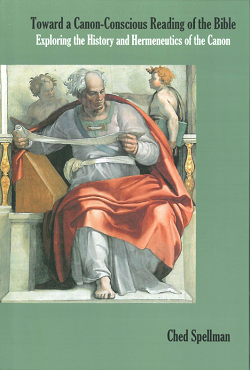 Through the introduction, the first major section, and the methodological reflections in parts two and three, this volume provides the student of the New Testament text with a goldmine of information and also the tools to excavate that payload. For instance, Tuckett provides a series of methodological cautions for those piecing together a manuscript’s checkered textual landscape (157-60), and Williams discusses at length the critical importance of translational technique when reconstructing a translation’s underlying text (239-45). This type of preliminary exploration is common throughout the volume. The interpretation of fragmentary data is always informed by the given interpreter’s various methodological presuppositions, so these elements are welcome features of this collection. Though the editors set parameters for the textual analysis, a clear diversity surfaces in the text-critical studies of part two. There are considerable differences in style, method, and analysis in each contributor’s contribution. For example, in his study of Matthew’s text, Wasserman adopts and interacts with the Münster approach at length. Other contributors, though, prefer to continue speaking of the various textual traditions as “text-types” (e.g., 115, 118, 128-30). Hernandez, for instance, includes the Alands’ category of “textual quality,” but he does so only “for the sake of convention” (139, cf. 157n3). In terms of the presentation in part two, it would help if the headings and progression of the chapters were uniform. The “reading aids” for each entry are different. Royse uses Roman Numerals in his chapter on Paul’s letters, and Wasserman uses the Papyrus number + other classifications. Nicklas’ chapter on Revelation does not include a table, and Elliot’s table on the Catholic Epistles does not include the Alands’ “textual quality” category. Standardizing the shorthand used by various authors to indicate scribal activity (e.g. for additions or omissions) would also increase the cohesion of the text-critical studies. Despite this diversity, each of the chapters has a table of text-critical results that includes the same elements (including an assessment of a given witness’ “textual quality”). Thus, this section serves as a rich resource for specialists and non-specialists (who will not detect/care about the subtle methodological differences). Further, even if the approaches were perfectly uniform, the chapters would still probably feel uneven because of the unevenness of the manuscript evidence being analyzed. For example, in Head’s chapter on Mark, P45 is the only significant witness but is relatively insignificant for textual reconstruction. On the other hand, in his chapter on Luke, Hernandez shows how P45 is a very significant witness for current scholarly editions of the third Gospel. These features make this volume a timely contribution to the study of the earliest texts of the New Testament. As a novice of New Testament textual criticism, I found these chapters to be consistently engaging, always informative, and sometimes even exciting (if that is possible in a volume brimming with technical minutiae!). The story that the New Testament manuscripts tell is one that continues to unfold and take shape. These discussions are part of that documentary drama. Indeed, though certain elements will surely be dated quickly (e.g., new papyrus fragments are still being “uncovered”), the value of this volume will also surely endure for the foreseeable future. Because of its focus and methodological savvy, I think it would prove an excellent supplementary volume (or main textbook) in a course on contemporary Textual Criticism of the New Testament. If you are a scholar sifting through these fragments or a student seeking an introduction to this area of the field, this volume is the “type of text” that you will want to keep within reach.